Below: The first sentence reveals that most women still used washable pads or at least cloth, maybe diaper cloth (bird's eye). The last paragraph on the right probably means that women were already calling any disposable pad a Kotex, just as many people do now. The company probably lost sales. 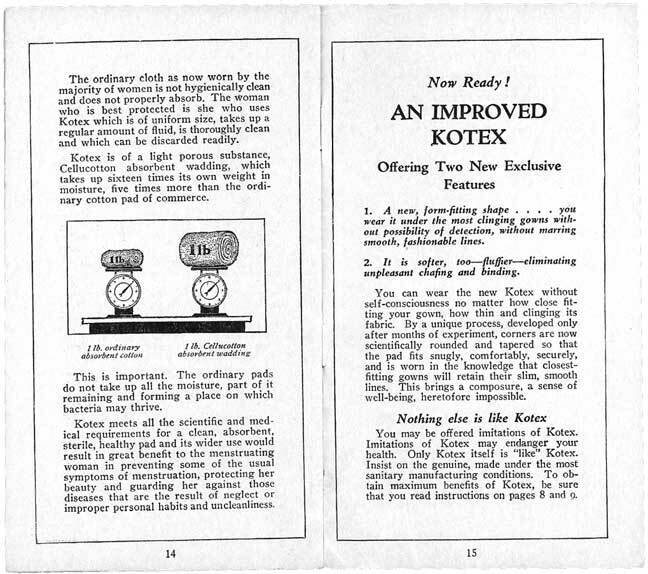 See famous Kotex ads from this year (1928) that mention improvements. Kotex emphasized this concealment under dresses by calling them Phantom Kotex in later ads. 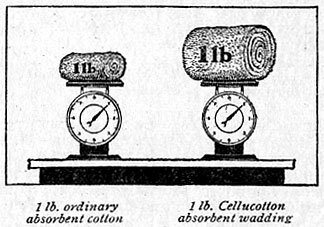 Early newspaper articles about Cellucotton.